Zhang, S.Q., Gao, X., Zhang, Y., Li, Z.Y. Taphonomic analysis of the Lingjing fauna and the first report of a Middle Paleolithic kill-butchery site in North China. Chinese Science Bulletin, 2011, 56, 3213-3219. Gao Xing and Christopher J. Norton. A critique of the Chinese “Middle Paleolithic”. Antiquity, 2002, 76: 397-412. Pei S W, Gao X, Chen F Y, Feng X W, Dennell R. Lithic assemblage from the Jingshuiwan Paleolithic site of the early Late Pleistocene in the Three Gorges, China. Quaternary International, 2010, 211: 66-74. Christopher J. Norton, Xing Gao. Zhoukoudian Upper Cave Revisited. Current Anthropology, 2008, 49(4): 732-745. Madsen, D.B., J.Z. LI, P.J. Brantingham, X. GAO, R.G. Elston & R.L. Bettinger. Dating Shuidonggou and the Upper Paleolithic blade technology in North China. Antiquity, 2001,75: 706-716. Gao Xing, Hyun-kyun Seong. 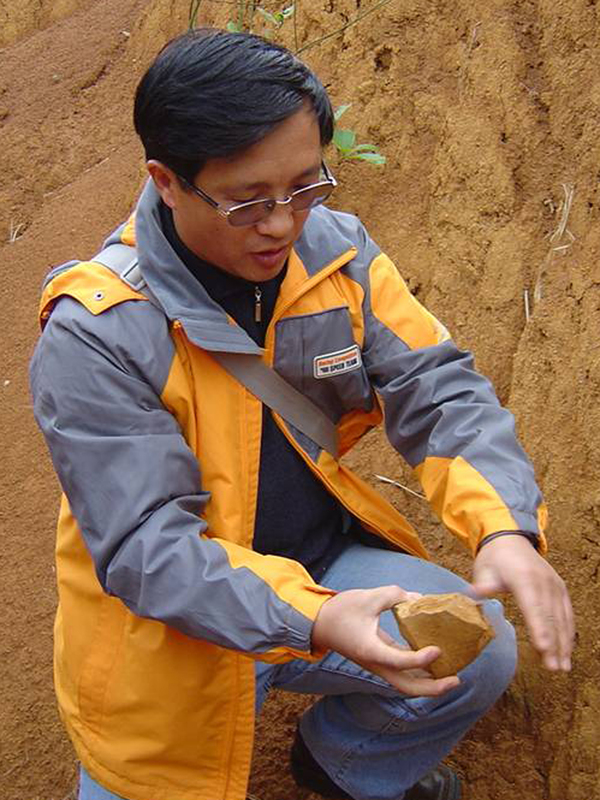 Paleolithic research in China: Retrospect and prospect. Journal of the Korean Paleolithic Society, 2003, (7): 53-67. Gao Xing. A study of the lithic assemblage from Zhoukoudian Locality 15. Acta Anthropologica Sinica, 2003, (Supplement to Vol. 21): 31-52. GAO Xing. Core reduction at Zhoukoudian Locality 15. Archaeology, Ethnology & Anthropology of Eurasia, 2000, 3(3): 2-12. 张乐, 王春雪, 张双权, 高星. 马鞍山旧石器时代遗址古人类行为的动物考古学研究. 中国科学(D辑), 2009, 39(9): 1256-1265. 高星, 袁宝印, 裴树文,王惠民, 陈福友, 冯兴无. 水洞沟遗址沉积-地貌演化与古人类生存环境. 科学通报, 2008, 53(10): 1200-1206. 冯兴无, 高星, 金昌柱, 许春华. 三峡库区二级阶地发现的东方剑齿象化石及其环境与考古学意义. 人类学学报, 2005, 24(4): 283-290.